Coming UP!! Free Appraisal Day! Saturday, April 27th, 11am to 2 pm! Bring in Your Favorite Antiques and/or Collectibles for a Free Appraisal! Will Paulsen and Steve Hoffman are the Appraisers. This is an Open Appraisal – All Items Considered. Come Take a LOOK! Refreshments Served. 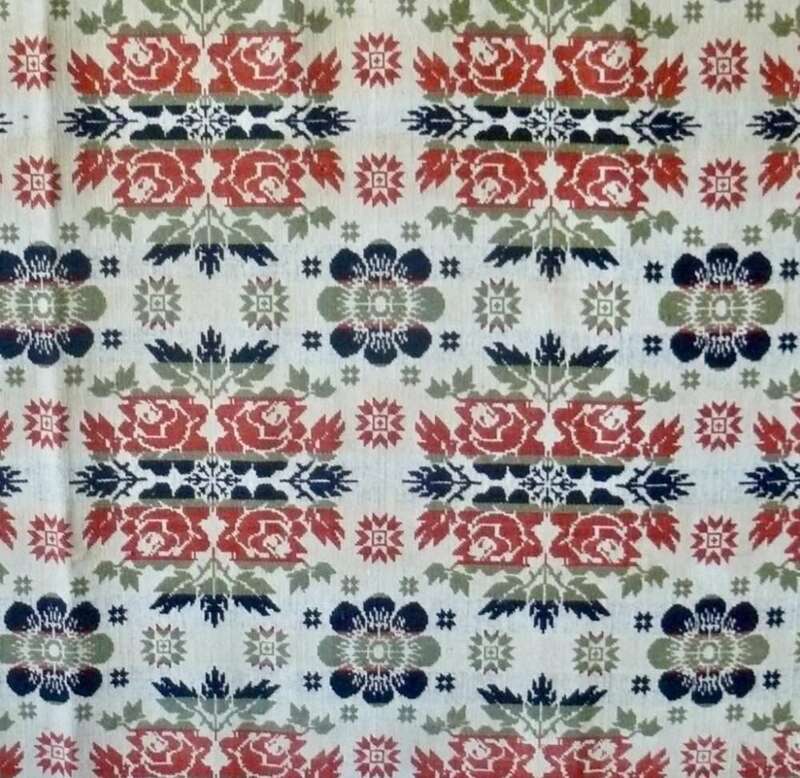 Pre-Civil War Coverlet from Booth 11 – Huge! $525.00. 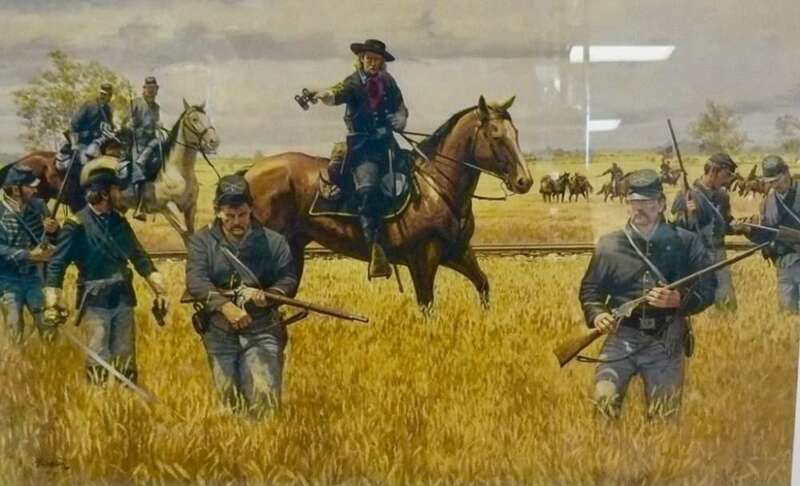 From Booth 411, ‘Custer at Hanover by Dave Gallon – Signed Limited Edition – Framed and Triple Matted – $495.00. 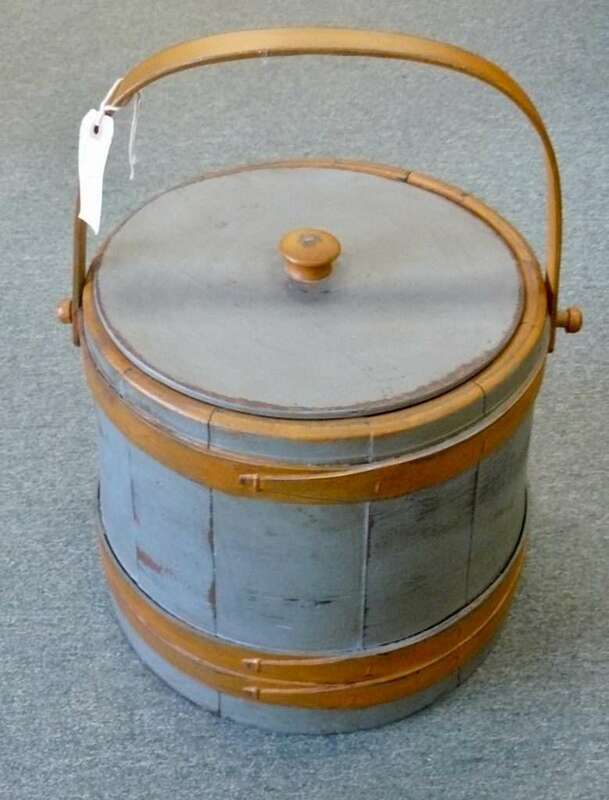 Old Painted Firkin – Booth 11 – $145.00. 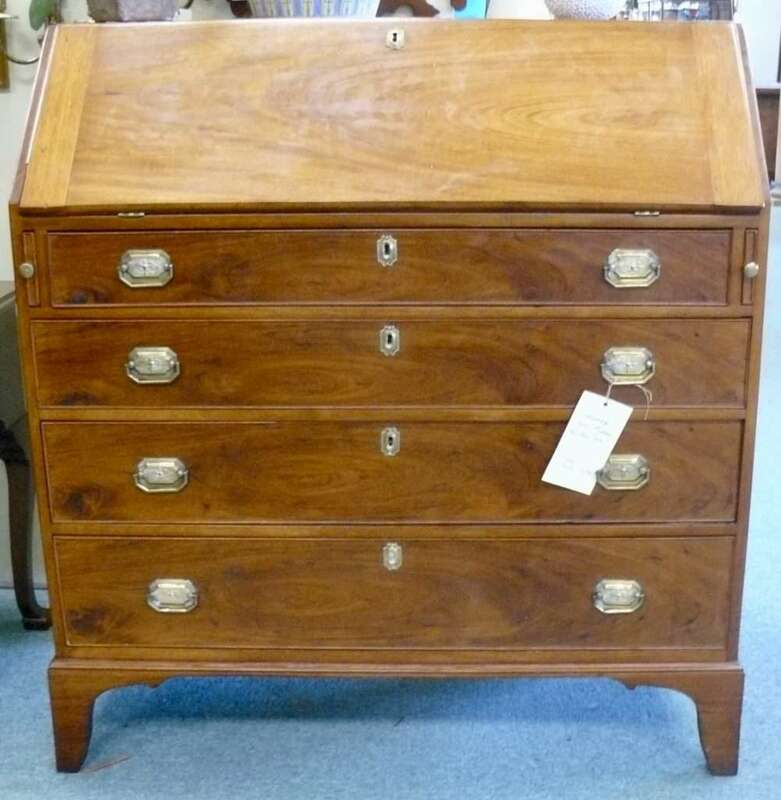 Early 19th Century Tall Front Desk – $1950.00, NOW 25% off! Booth 40. 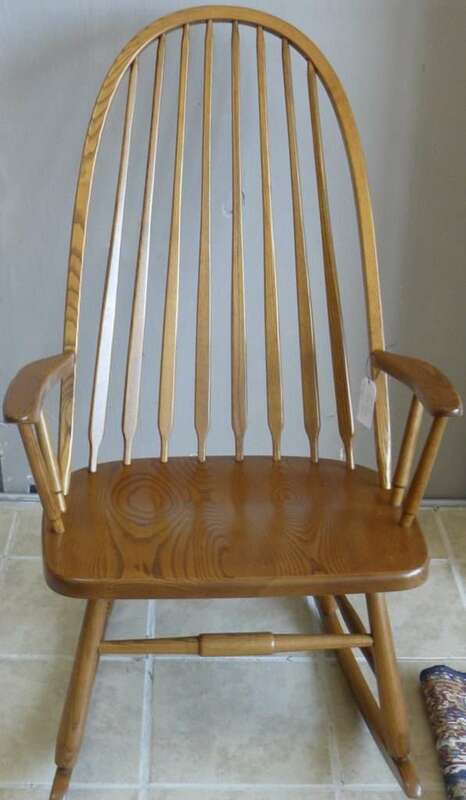 Solid Oak Rocker – Booth 408, $200.00. From the Book Room, a Complete Set – 17 Volumes ‘The Book of One Thousand Nights and a Night’, by Richard F Burton – Easton Press, Like New! $650.00. 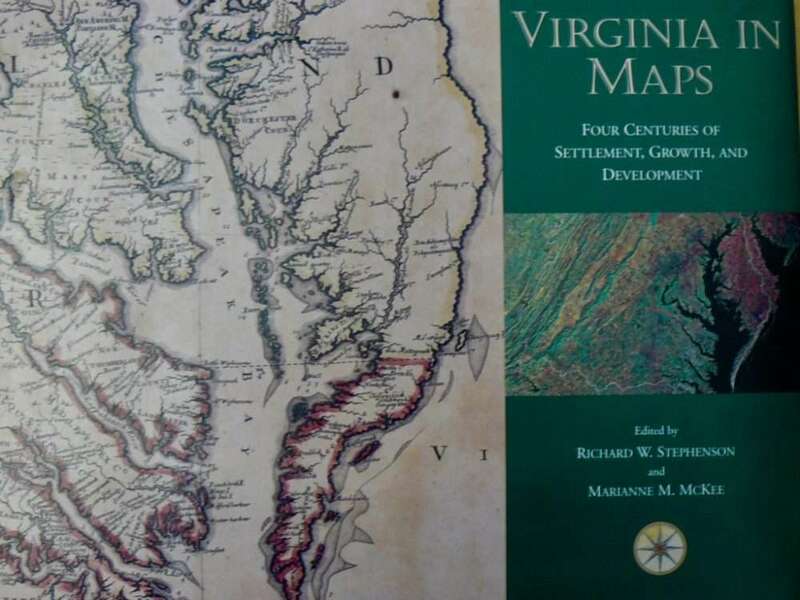 Oversized Hardcover/Jacket, in Beautiful Condition – ‘Virginia in Maps’ by Richard W Stephenson – Published by the Library of Virginia, $130.00 – From the Book Room (318). 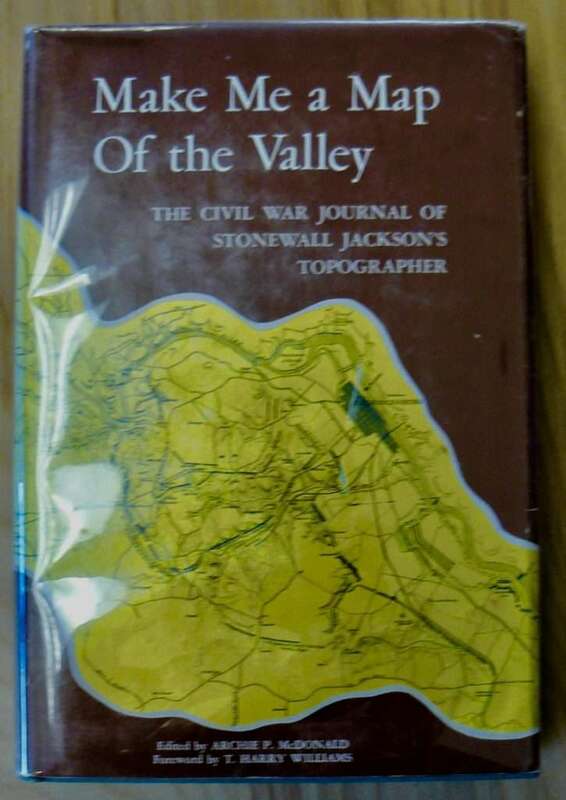 ‘Make Me a Map of the Valley; The Civil War Journal of Stonewall Jackson’s Topographer’. 1st ed with Jacket – $100.00 – Book Room. 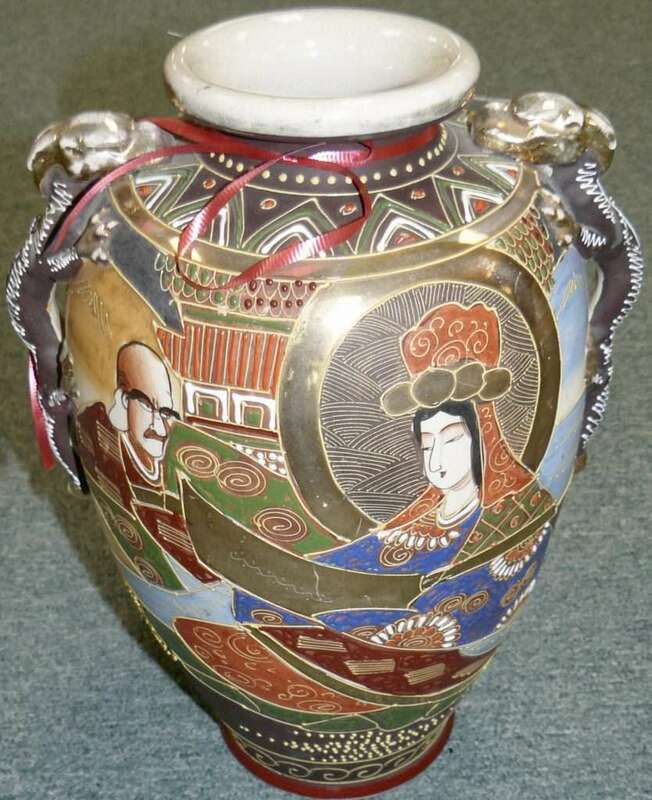 Satsuma Vase – $75.00, Booth 25. ‹ A Douglas Cave Original, a Leaded Glass Screen and a Hand Painted Miniature!